Odessa, Ukraine Gov. Mikheil Saakashvili calls in California Highway Patrol to combat police corruption. The California police force is serving as more than just the inspiration for the second season of True Detective these days; it’s also serving as a training force in war-ravaged Ukraine. Trainers from the California Highway Patrol will arrive next week to build a “new police” force in Odessa, according to Geoff Pyatt, the American ambassador to Ukraine. A successful police overhaul is seen as crucial for success in Odessa, where questions had been raised about the region’s allegiance to the government in [Kiev] and its ability to shed the ossified system of dubious business interests. [Highway police] is used metonymically for a highway robber in much of the post-Soviet world…. The idea is that the California Highway Patrol will train the new officers, who will be expected to vow to take no bribes, to be less corrupt than the previous ones. Ukraine’s First Deputy Interior Minister Ekaterine Zguladze, former deputy interior minister of Georgia, is overseeing the nationwide attempt to overhaul the police program, which began in Kiev on July 5. Ukraine today is fighting two wars. One is the war with Russia…The other is the war against corruption, the war for reform, the war to move Ukraine towards the standards of modern European democracy… California Highway Patrol will be trainers helping to establish a new Odessa Patrol Police… a force which is professional and, most importantly, un-corruptible. Pyatt added that the United States will be funding an “anti-corruption action team” and grants program. Neither Pyatt’s statement nor Saakashvili’s specified how many trainers would come from California, why they were coming specifically from California, or what prior experience they had with Odessa. Saakashvili has lived in exile from Georgia since his presidency ended in 2013 under a cloud of his own corruption allegations, and eventual charges. His appointment as governor of Odessa was a controversial one. Saakashvili is a divisive figure, whose extradition from Ukraine has been demanded by Georgian public prosecutors. Some in Georgia remember him for cracking down on corruption and modernizing the country, but others remember him for failing to reform the judiciary or, worse, for failing to abide by it. By, say, firing an entire police force. 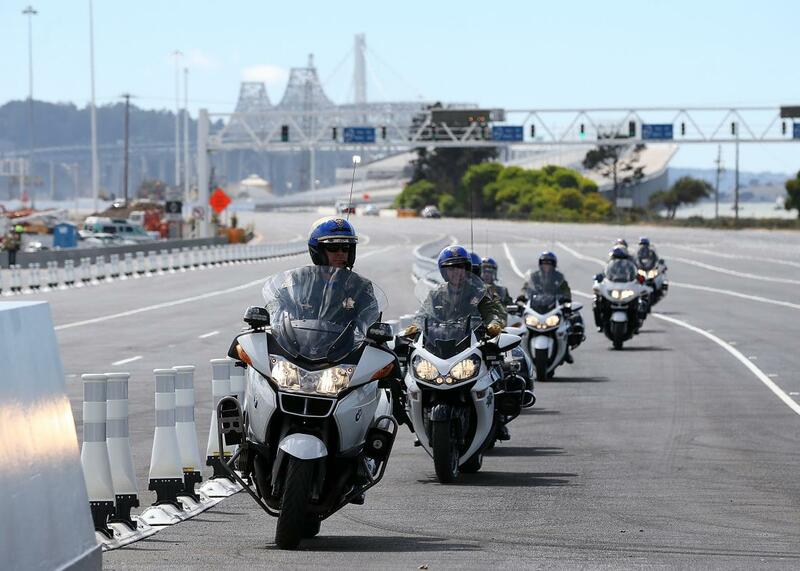 Correction, July 9, 2015: Due to an error by the photo provider, the initial image in this story misidentified Oakland Police Department motorcycle officers as California Highway Patrol motorcycle officers.